Ola Shobowale: I am the art director at Infinite Beauty Factory, a fashion show production and brand consultancy I set up in London in 2011. I originally studied multimedia design, following a period working in advertising and communications. I went on to retrain in arts administration and live events management which led to working on London Fashion Week off-schedule shows and Clothes Show London. The core objective is to bring fashion and accessory brands based throughout the diaspora to the mainstream in the UK via collaborations and partnerships with major art and cultural institutions such as AFROPOLITANS for the Victoria and Albert Museum London. Past and present clients include Nkwo, Ituen Basi, Bestow Elan, Zebra Living, Kiko Romeo and Joansu. Other non designer clients include The Noisettes, Sinazo Yulwa (South Africa SABC TV Presenter), Afro Hair Live and Fashion Mist. Over the years I have also produced and collaborated on editorial content for publications such as New African Woman Magazine, DivaScribe Magazine, Sublime and Pride Magazine. 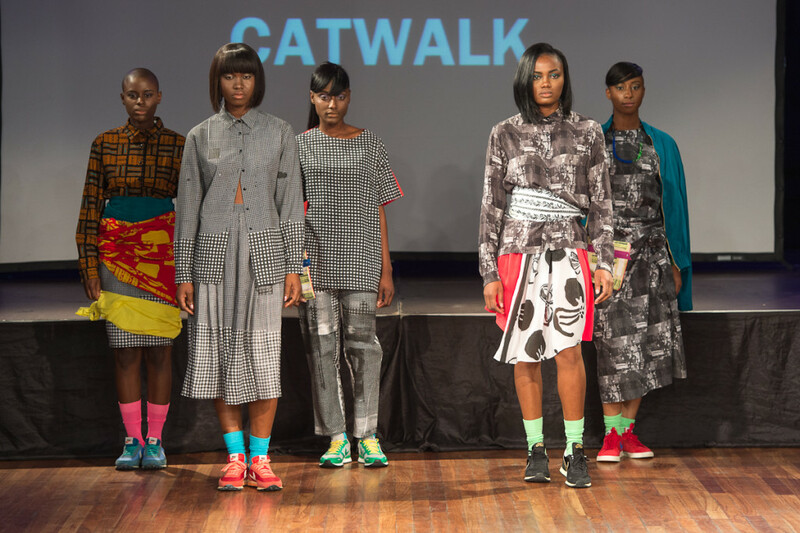 APiF: What is the objective of Africa on the Catwalk? Ola: Africa on the Catwalk was created and programmed as the fashion show element for Southbank Centre’s AFRICA UTOPIA Festival, London. It’s primary aim is to raise awareness, educate and inform visitors about contemporary African design. Last year’s show featured collections from Sindiso Khumalo, A.A.KS, Bestow Elan and Soboye in addition to accessories from Hassan Hajai, Mifani shoes, Moyo by Bibi and Haus of Hercules. APiF: When did you start Africa on the Catwalk and what was your motivation to start this event? Ola: Africa on the Catwalk was created by Southbank Centre London in collaboration with the musician Baaba Maal, Hannah Pool, curator, author and journalist, and Sabrina Henry, former Fashion Director at Arise Magazine in 2012 as part of the AFRICA UTOPIA festival. The show is curated, which means that all designers are carefully researched before they are selected, so there is no application process usually associated with other shows. But this may change for future productions. Alongside the fashion show I also co-curated the Africa Utopia Pop-up shop within the Southbank Centre complex. APiF: What is your goal with Infinite Beauty Factory? Which designers are you consulting? Ola: Infinite Beauty Factory is currently going through a period of transition and is in the process of building closer partnerships and collaborations with industry stakeholders in South Africa and Kenya such as Nich Luxury Africa. APiF: Which African designer should we watch out for in 2015? Ola: The past couple of years has seen the emergence of an impressive roster of exciting new designers and brands from a number of African countries, Europe and North America. From the pastel, richly brocade embellished collections from women’s wear brand GBEMI (Nigeria/UK) through the sports luxe of mens and womenswear brand OATH by Rich Mnisi (South Africa) to collections made entirely of synthetic hair from Hamburg-based innovative knitwear designer SARAH DUAH (Ghana/Germany).